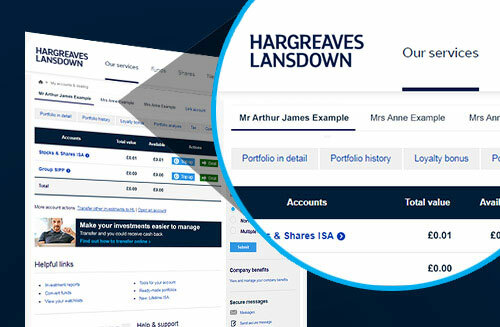 Linked accounts is a time-saving feature that allows you to view and manage your family's Hargreaves Lansdown accounts using a single set of login details. Once set up, each time you log in to your account you will be able to easily switch between family members' accounts. With linked accounts, managing your family's ISAs, pensions, funds and shares has never been easier. You can cancel access to your account at any time by calling us on 0117 980 9953. Each time you log in to your account, the registered linked accounts will be shown across the top of the page. You can then simply click a tab to view and manage that account. Below you can see how you can access your family's accounts quickly and easily. When you link an account to your own, the account holder will decide whether you have view-only access or can trade on their behalf. You will have access to that account but it will not automatically have access to your account. Once you have linked accounts you will have access to many of the same tools and information as you would with your own account. Please note that is not possible to carry out all account functions through the linked accounts facility. The account holder would need to be logged in to their own account directly for certain actions, for example contributing to an ISA, amending personal details, and requesting withdrawals. You can also use the HL app to manage your linked accounts at any time, and wherever you are. How do I link accounts? Ask the holder of the account you wish to link to enter their Username and date of birth, followed by their Online Password and three digits from their Secure Number. Ask the holder to choose whether you have view-only or trading access. And that's it, you're done! The name and account number of your new linked account will be displayed and you can access the account straight away. Simply click 'Add Account' to repeat the process. Not a Hargreaves Lansdown client yet? Find out how to open an account online now. Please remember that the value of investments, and any income from them, can fall as well as rise so you could get back less than you invest. If you are unsure of the suitability of your investment please seek financial advice. Tax rules can change. Our experts choose what they think are the best available equity income funds, and manage them in a single, convenient investment. 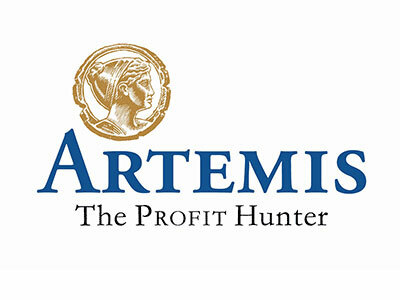 We rate Adrian Frost and the Artemis UK Equity Income Team highly. The team has significant experience managing equity income funds. 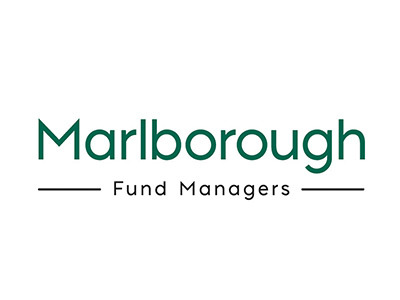 Marlborough Multi Cap Income offers something a little different. It mainly invests in higher-risk small and medium-sized companies, instead of the larger firms that most income funds target. They aren’t often thought to pay high dividends, but lots of them do.